I used to make pumpkin pie with canned pumpkin every Thanksgiving. But then I found out that food cans are lined with plastic that contains bisphenol-A (BPA). BPA is a toxic chemical that disrupts the endocrine system. It has been linked to many health problems. Besides the fact that food cans are lined with plastic that contains BPA, the food inside them isn’t fresh. 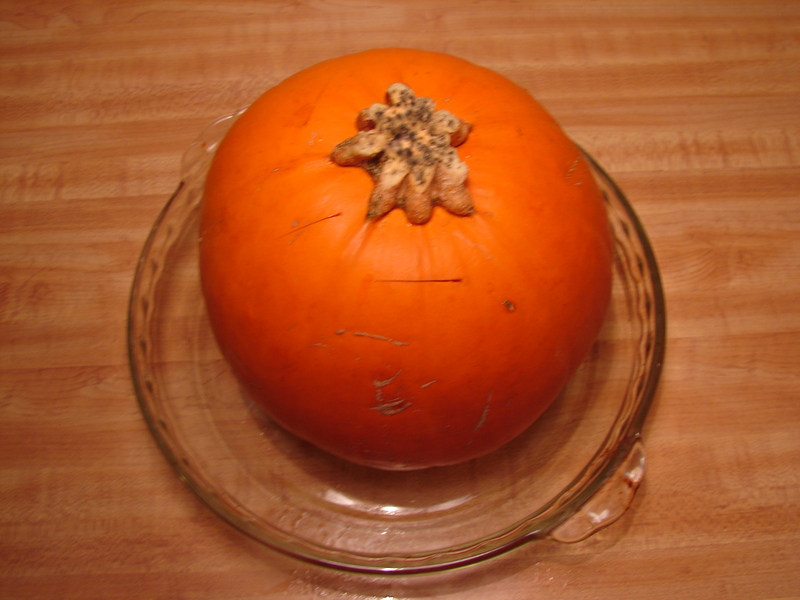 So instead of using canned pumpkin this year, I used a real pumpkin. 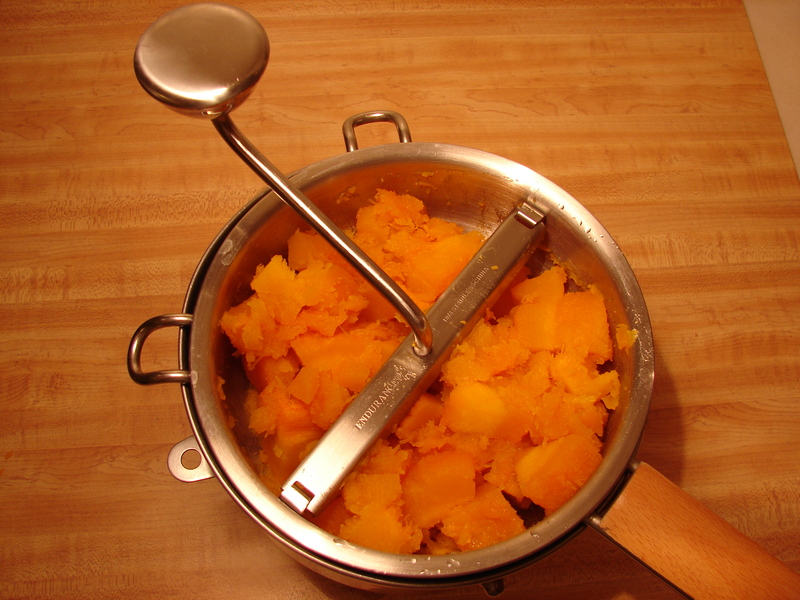 Here’s how to make pumpkin puree. 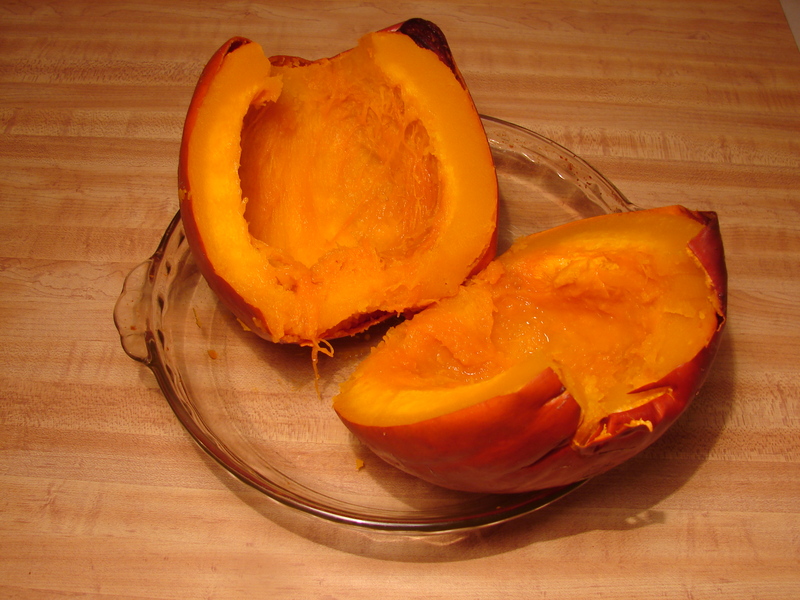 Scrub a sugar pumpkin, make five or six deep cuts around the top (to keep it from exploding while baking) and place it in a baking dish. 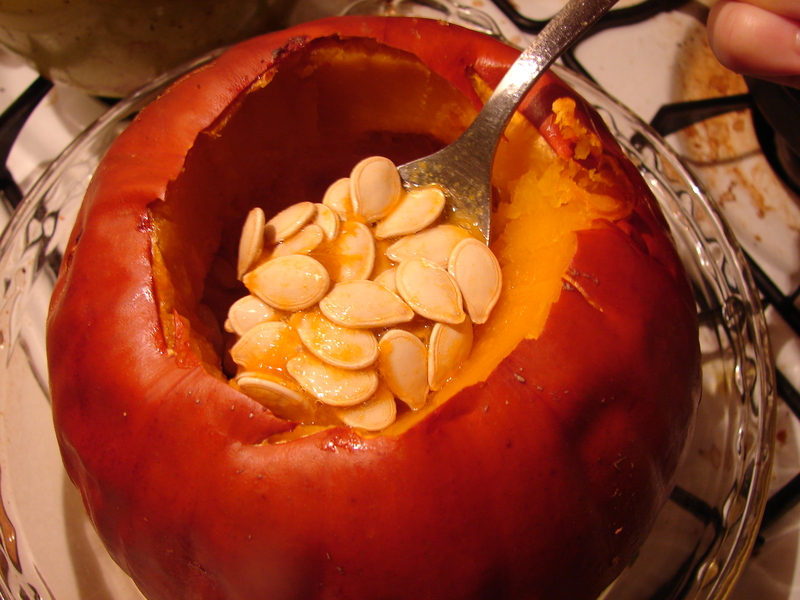 Cut the pumpkin in half and scrape out any remaining seeds. Scrape out the flesh and put through a food mill or food processor. A food mill is better because it’ll prevent stringy puree. My food mill is metal so I don’t have to worry about it leaching chemicals into the food I’m pureeing in it. With my food processor I do have this concern because it is made out of plastic. I still use my food processor for stuff like peanut butter but I don’t use it that much. If you’re thinking about a food mill but aren’t sure if you should get one, I think you should. Mine was only $40. They’re really useful for making purees. Use the puree right away or store it in a container in the fridge until ready to use. You can freeze it as well. There you go! 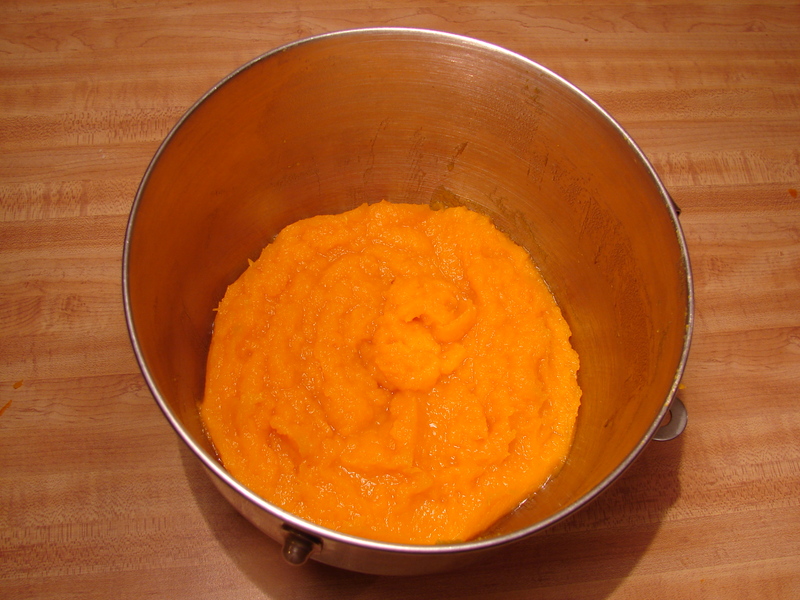 Fresh, homemade pumpkin puree. You can use it in place of canned pumpkin in any recipe, like maple pumpkin muffins, pumpkin date muffins and of course, pumpkin pie. This puree had a lighter color than its canned counterpart, but the consistency was pretty much the same. It worked really well!